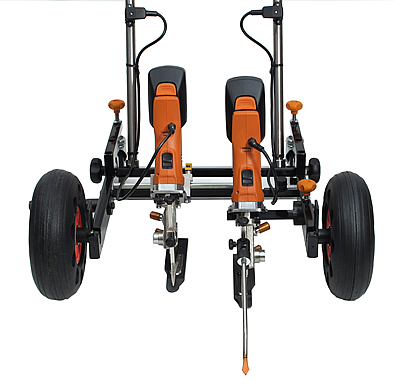 For the last 4 years, this Italian-made field and sideline cutter has been employed by field builders in Asia & Europe. For the first time, it’s now available to the North American market. This unit allows one man to cut a field in one day. 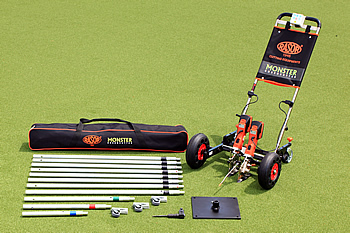 It provides installers with the first ever 100% portable option for cutting field lines. 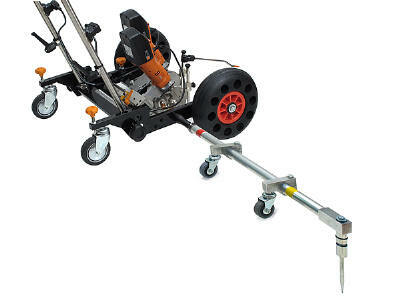 Also capable of performing exact radius cuts, merely order the optional radius kit. 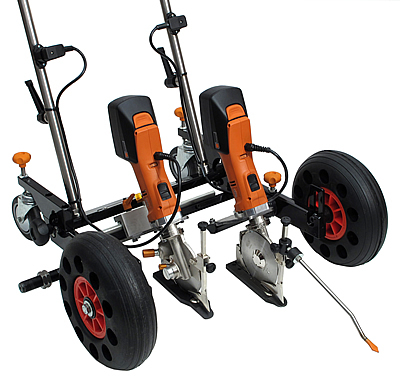 Even more powerful that it’s predecessor, the electric driven model GC10, this unit is guaranteed to streamline your operation. 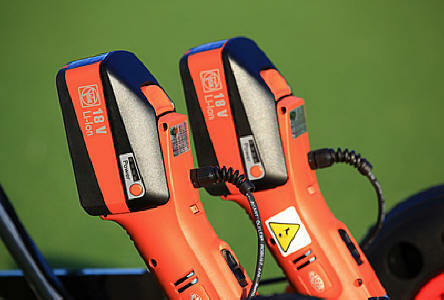 The high powered batteries will allow you to cut a full field without having to recharge. No more electric cords and no need for onsite generators. 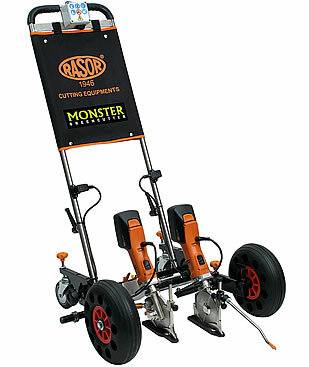 The GC-Monster reduces labor, time on the field, and cuts with precision.